Long-term prognosis for patients suffering from acute heart failure is still poor. Immune cells in the myocardium are key players in heart failure development. 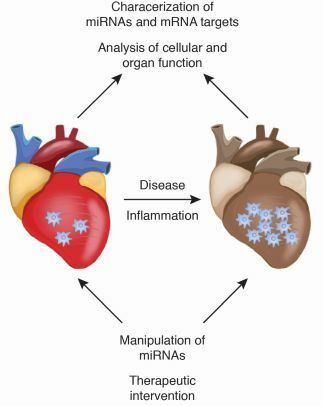 The idea is that endogenous, noncoding microRNAs regulate essential functions in cardiac immune cells. The aim of MacroERA is thus to screen the microRNA portfolio of immune cells in disease models (e.g. chronic pressure overload of the left ventricle) and to characterize the function of candidate microRNAs. Given this, MacroERA will exploit the potential of immune cell microRNAs for heart failure therapy.